Gwyneth plays at weddings and special occasions in Victoria and southern Vancouver Island. Choose the harp whose look and sound best suits your event. Weddings, Receptions, Corporate Events, Festivals & Anniversaries. The harp also creates a gentle and reflective atmosphere during Memorial Services. 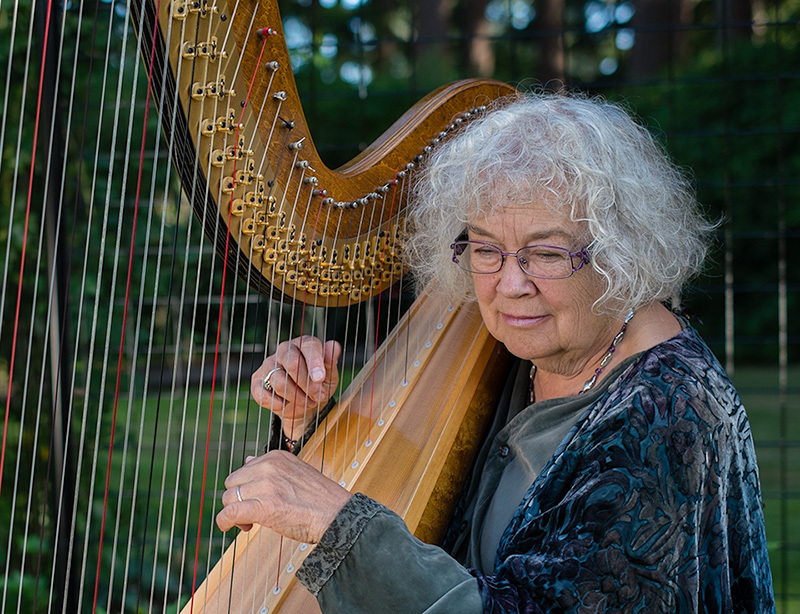 Gwyneth is happy to help you choose your wedding music, and plays music suitable many different types of weddings – including romantic garden weddings, traditional church weddings, Celtic, contemporary or Jewish weddings. To hear samples of selected music, click on the links to downloadable MP3 files.